As a national leader in mobile kitchen solutions CMK is ready to meet the rapidly growing demand for mobile kitchens in Nevada. Our 24-hour customer service can provide you with the appropriate mobile kitchen and support units when and where you need them. Nevada mobile kitchens are a way to introduce catering services to the Nevada public. With hundreds of local festivals, rodeos and events throughout the state, CMK can supply state-of-the-art equipped and fully customized mobile catering kitchens for any event. Every year Black Rock City pops up in the middle of the desert about 100 miles northeast of Reno. The temporary city is the home of the Burning Man Festival, attended by nearly 70,000 people during the nine day counterculture gathering. The Nevada Film Office is the state agency that supports the film industry, actively seeking new projects that are creating a thriving industry. Nevada is the site for a number of TV commercials, has hosted episodes for nearly 100 TV shows. Over 80 feature films have been filmed on location in Nevada. 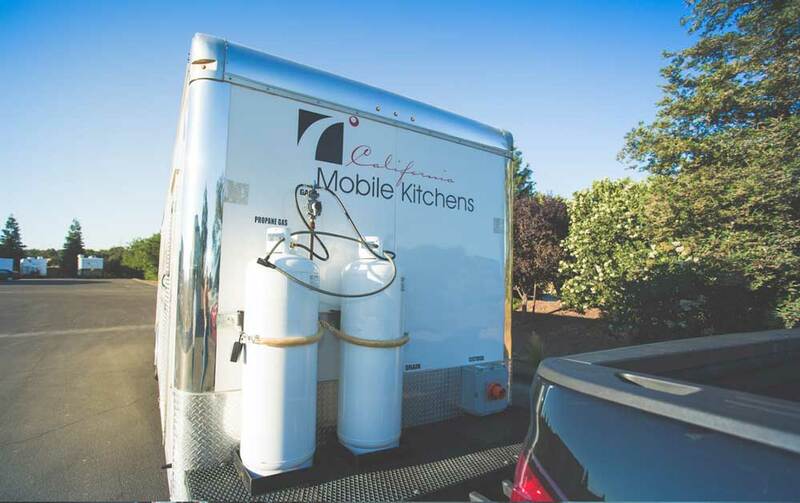 Affordable mobile kitchens from CMK ranging in size from 20 to 53 feet can support film crews at nearly every location. Additional refrigeration units, generators and shower and toilet trailers can be set up where needed. Both of the principals of CMK, Carly Medeiros and Tomas Medeiros, Jr., have a combined 35 years experience in catering, food service and management. This experience is available to help you equip and plan for ever detail of a project, and within your budget. National Restaurant Association reports approximately $7.2 billion in sales for Nevada’s restaurant industry in 2017, a exciting growing opportunity for those wanting to start or expand a catering or cottage food business. The Nevada cottage food law allows certain kinds of food to be produced for sale to the public from a home kitchen, but also has some restrictions. Requirements such as the food must be prepared separately from family meals and no infants, small children or pets being allowed in the kitchen during food preparation might seem difficult to overcome. Depending on local regulations, a CMK mobile kitchen helps overcome these restrictions, as well as meeting other requirements, without infringing on family life. The U.S. Labor Department numbers show Nevada has the top employment growth in the country in 2017. Despite Nevada’s great expanse of desert, the 2017 population is reported at 2.99 million. Internationally famous for its largest City, Las Vegas with elaborate theme hotels and luxury resorts that lining its main thoroughfare. The city is also home to museums such as the Mob Museum, and upscale shopping malls and restaurants. The capital of Nevada is Carson City. The GPS coordinates for Carson City, Nevada are 39.1638° N, 119.7674° W.